The Indonesian island of Bali is never short of beaches! But unfortunately, most of the beaches in Bali are overcrowded. 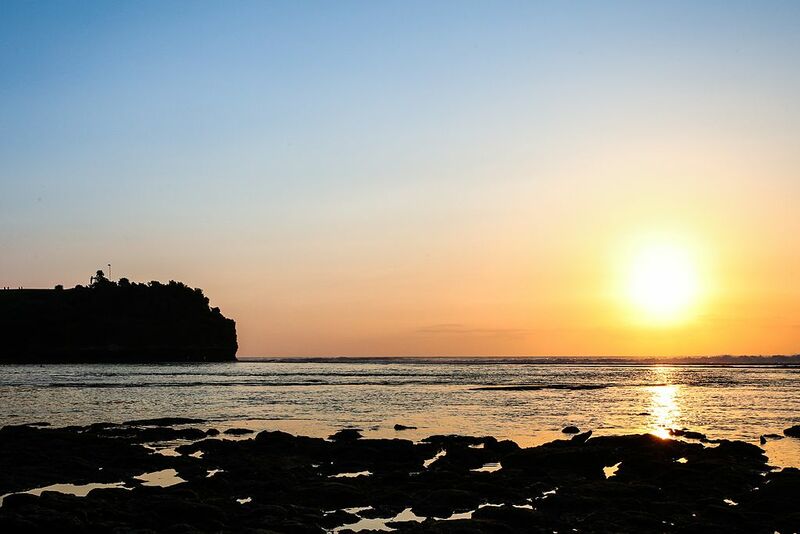 Here is a list of some of the most underrated offbeat beach locations in Bali you must visit during your stay. Located in the southern part of the island of Bali, this beach features a long stretch of sand flanked by formidable rocky cliffs. Though this beach receives fewer tourists, there are many cafes and surf shops making the beach a perfect place to enjoy a private and peaceful time with your loved ones. Gerger beach is one of the few beaches in Bali that features calm and tranquil waters, and it is a beach where you can actually swim. The beach sand is soft and thick making it an ideal beach for a game of volleyball. Here also you can find several cafes and hotels to spend your day lazing around and munching on the delicious food items they offer. This is certainly one of the most beautiful and underrated beaches in Bali. What makes this beach so special is the stunning views which you’ll get to witness upon visiting here. It is also hidden and it is accessible only after a mini hike down a rocky path. This beach is also located pretty close to Ubud hotel properties the likes of Alila Villas Ubud which are located in the hilly regions of the island. This beautiful strip of beach which is located in the southernmost part of the island and it is surely one of the prettiest beaches in Bali. The only catch in visiting this beach is that you have to pay a little sum of money as entry fee, but trust me it is totally worth the experience. Previous Post Thong Nai Pan Yai Beach – Realize a beach lover’s dream! Next Post 500 Lohan Temple – An enchanting destination!